The main entrance to the station (Gerber Building) at 4620 Broadway is closed. The auxiliary entrance on the south side of Wilson has closed. The east platform is closed and is being dismantled. The new west platform will be the only platform in use. the temporary auxiliary entrance on the north side of the street (unstaffed; farecard required for entry). "Existing Wilson Ave. and Gerber entrances closed; demolition and reconstruction of Track #3 (NB Red); and construction of new northbound shared platform." 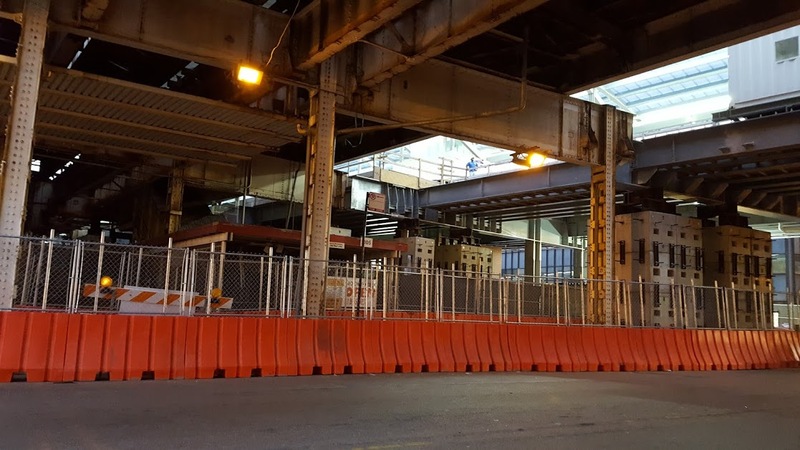 This phase of work requires continued three-track operations in which southbound Red and Purple Line Express trains share a single track between the Wilson station and the junction north of the Belmont station."